Aneid UK Ltd is focused on marketing “niche” nutritional products in Europe and the United States. Working with the US firm NourishLife LLC, Aneid has launched Speak. This product combines ultra-purified omega-3 (pharmaceutical grade) and two forms of the antioxidant vitamin E.
The omega-3 supports a healthy inflammatory response, while vitamin E reduces oxidative stress, acting as a key antioxidant. Together, they support neurological health and provide essential nutrition. (Vitamins K1 and K2 are also included for nutrient balance). 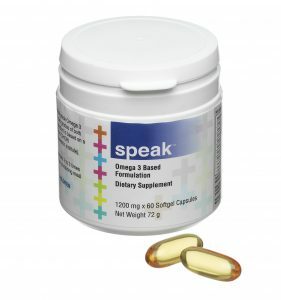 Speak is offered in gel-caps, twist-off capsules, and now a delicious, orange vanilla flavoured liquid. 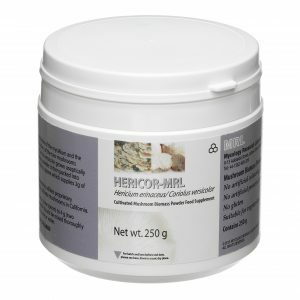 Hericor-MRL should be taken two weeks prior (and during) supplementation with Omega 3 complexes to accelerate and maintain the uptake of Omega-3 supplementation. For detailed information on supplementation levels, healthcare practitioners should contact John Bernardo at info@aneid.com.